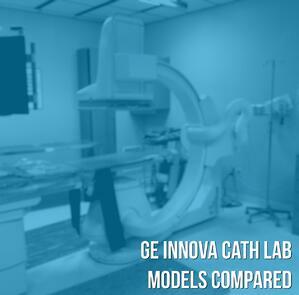 Each of these systems has an exclusive Revolution flat panel detector, which boasts a 15% increase in image quality over GE's analog models for coronary, peripheral, and neurological procedures. This increase in quality aids in visualizing fine vessels and allows for more accurate stent placement. The Innova 2100 has the smallest detector in the family at just 20 cm square and is designed for cardiac and carotid procedures. Devices in the entire coronary anatomy can be seen in one view and the reconstruction of 3D cardiac images can be done with the tableside controls. 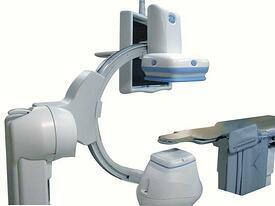 The 2100 is ideally suited for diagnostic angiograms, angioplasties, carotid stenting, and cardiac catheterization. The Innova 4100 has a 40 cm square digital detector and provides the largest field of view not only in the GE line, but in the marketplace at large. This allows for high quality images with fewer runs, lower doses, and faster exam times. The 4100 is an ideal solution for oncology/tumor embolization, ablation techniques, run-offs, and vein embolization. The Innova 3100 is known as the “swing” lab of the series. 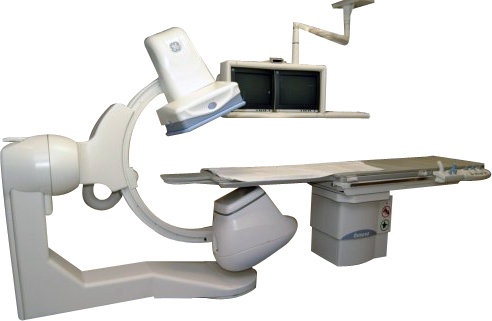 By splitting the difference between the 2100 and 4100, the 30 cm detector allows for excellent cardiac, vascular, and neurological imaging all in one system. Depending on the nature of the work you do most often, any of these systems could be a fit for your needs. The popularity of the line makes for regular availability on the refurbished market as well as relative ease in locating service personnel and replacement parts. If you're interested in pursuing an Innova IR system further you can tell us about your project and request a quote for interventional radiology equipment here. This is just one of the many cath/angio lab articles we have for you. If you want to keep reading about systems, parts, service, and news, click here to see the complete list of content for this topic.